It is one thing to conduct cutting-edge research; it is another to communicate that research to the world. 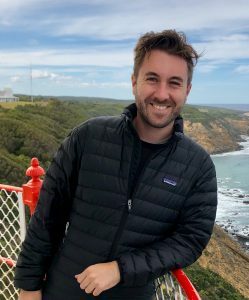 After presenting his research in just three minutes, York University geography PhD candidate Colin Sutherland has been named a 2019 top 25 finalist for the SSHRC Storytellers Competition. 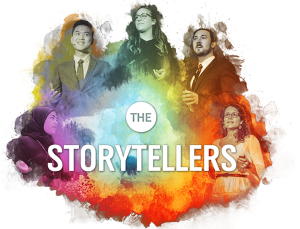 An initiative of the Government of Canada’s Social Sciences & Humanities Research Council (SSHRC), the SSHRC Storytellers Competition invites post-secondary students to tell a story of how SSHRC-funded research is helping Canadians. Participants are limited to just three minutes or 300 words. Sutherland’s research involves a hot topic: wildfire management. He interrogates the common perception of wildfires as surprise disasters, instead looking at the sociopolitical conditions that make them possible. His entry in the SSHRC competition focused on his research on wildfire management, exploring the mechanisms used in Canada’s national parks and neighbouring jurisdictions to manage prescribed burns on a landscape. His work shows how controlled, low-intensity burns can make forests more durable and resistant against wildfire. Chosen from more than 200 entries, each finalist receives a cash prize of $3,000. Sutherland and the other finalists will participate in the Stortyellers workshop and showcase event, which takes place during the 2019 Congress of the Humanities & Social Sciences. This annual event, an initiative of the Federation of the Humanities & Social Sciences, is Canada’s largest academic gathering, and will take place at the University of British Columbia from June 1 to 7. Looking ahead, Sutherland’s first priority is to finish his dissertation.